In the article bellow by the New York Times, you get a sense of the Big Issues surrounding Climate Change and Fossil Fuels, and the looming battle between the forces of darkness vs the forces of Light. You could also get a glimpse of the sea battle shaping up to take place here. “” Seattle, the environmental messaging never stops here, whether from a city-owned electric utility that gets nearly 98 percent of its power from sources untainted by carbon (and is not about to let residents forget it) or the fussy garbage collectors who can write tickets for the improper sorting of recyclables. So when a lease was signed allowing Royal Dutch Shell, the petrochemical giant, to bring its Arctic Ocean drilling rigs to the city’s waterfront, the result was a kind of civic call to arms. 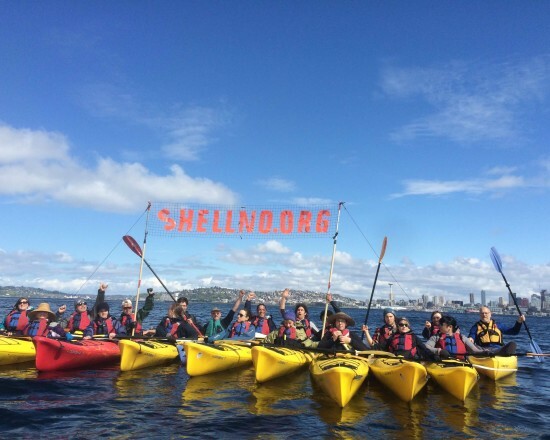 A unanimous City Council lined up alongside the mayor to question the legality of the agreement with the Port of Seattle, a court challenge was filed by environmental groups, and protesters, in bluster or bluff, vowed to block the rigs’ arrival — though the exact timetable is secret, for security reasons — with a flotilla of kayaks in Elliott Bay. “You have signed a lease that will amount to a crime against the planet,” said Zarna Joshi, 32, a Seattle resident who was first to speak at a raucous three-hour public meeting this week before the port’s commissioners. The meeting was packed mostly with opponents and punctuated by the occasional dissenter, pointing out the hypocrisy of protesters who had arrived to denounce Shell in vehicles running on gasoline. 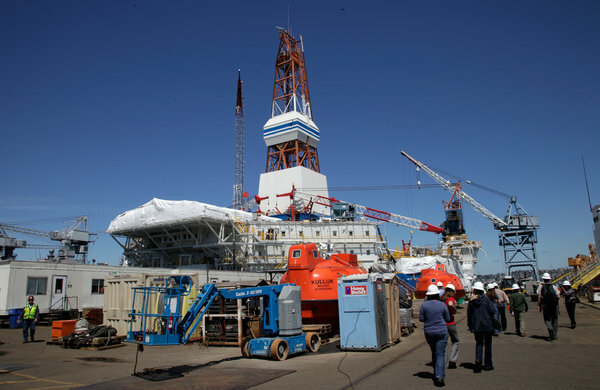 The oil drilling rig Kulluk in May 2012 at a shipyard in Seattle. In December 2012, it ran aground in the Gulf of Alaska while being towed to Seattle for maintenance. Officials at the publicly owned port, which has branded itself as a global maritime gateway “where a sustainable world is headed,” have strongly defended the lease, saying the two-year contract would bring in millions of dollars of revenue and create hundreds of good jobs on 50 acres that Shell would use just west of downtown. The decision to allow oil exploration in Arctic waters is in any case federal policy, noted Peter McGraw, a port spokesman, not anything that the port or the city or the State of Washington can alter. At the center of the dispute lies a tangle of questions about the politics of climate change. Since Shell will not be drilling or exploring for oil anywhere near Seattle, but merely parking for the night, so to speak, can or should the company be denied a berth because of what might or might not happen thousands of miles away off the north coast of Alaska, or what could take place years in the future if burning fossil fuels — maybe produced by Shell, maybe not — raises sea levels or causes other havoc? Lawyers for the port, in court filings, have said opponents are waging an “intense” political campaign that will falter on the rocks of a narrow contractual dispute. Opponents of the contract, though, said that protecting Seattle’s environment, in the broadest sense, means taking on the fight everywhere. 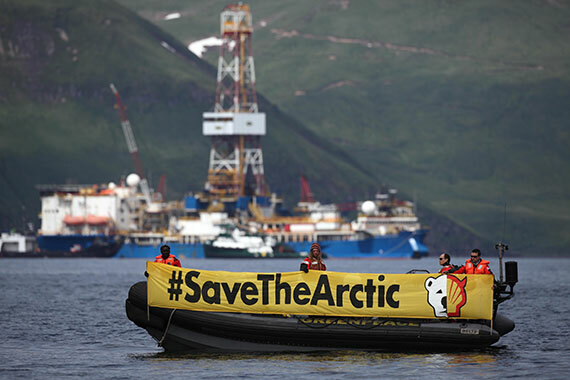 Whether there may be harm from greenhouse gases, or possible environmental damage from an oil spill or other accident in Alaska, to which Seattle is deeply connected in its economy and history, what Shell does in the Arctic, they say, will not stay there. “Hosting the Arctic drilling fleet in the city of Seattle is an activity that, if successful in drilling and extracting oil from the Arctic, will almost certainly mean that all of the industrial land in Seattle will be under water, and is completely inconsistent with the region’s and even the port’s goals,” said Mike O’Brien, a Seattle City Council member. 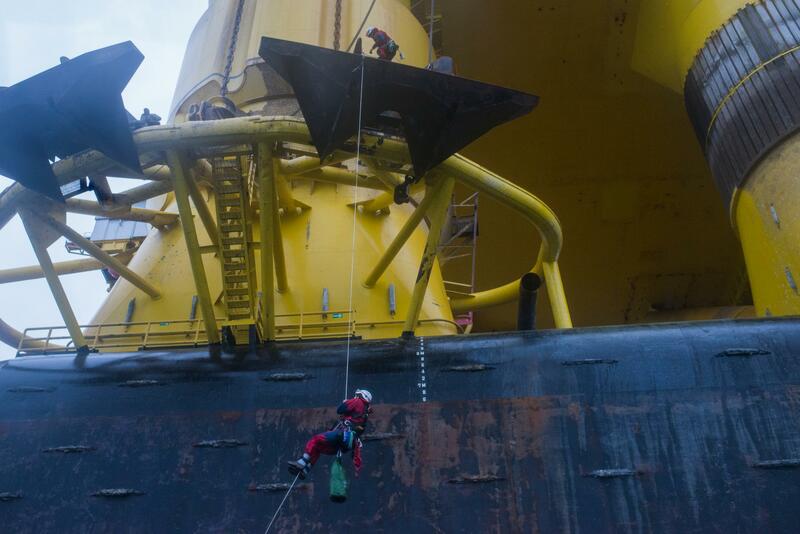 Shell used a private shipyard here for repairing its arctic equipment in 2012, which required no public hearings. The difference this time is the involvement by the port, where the commissioners run for office and contracts are public documents. The city’s Department of Planning and Development, under a request sent this week by the City Council and the mayor, is looking at whether the port’s lease, signed with a local company, Foss Maritime, which would manage the terminal site with Shell as the tenant, is consistent with the legal designation of the terminal’s use for “cargo” handling. That decision is expected in a few weeks. Meanwhile, a lawsuit by the Puget Soundkeepers Alliance and other groups, including the Sierra Club, is challenging the process under which the port reached its decision. In a hearing on Friday before a King County Superior Court judge, the opponents argued that Shell’s use will not be for cargo handling, which is the defined use for the terminal. The judge, Mariane C. Spearman, pressed lawyers on both sides to explain what exactly Shell would be doing at the site and whether fears of environmental harm were real or speculative, particularly because the rigs are not actually here yet. She said she would rule within the next week whether the case could proceed. If the lease is revoked, there would probably not be another space on the waterfront big enough to hold the huge rigs, said Mr. O’Brien, the City Council member. A spokesman for Shell, Curtis Smith, said the company had not looked at alternatives. The two rigs Shell plans to bring in — the Noble Discoverer and the Polar Pioneer — are enormous, one more than 320 feet tall and the other more than 500 feet long. 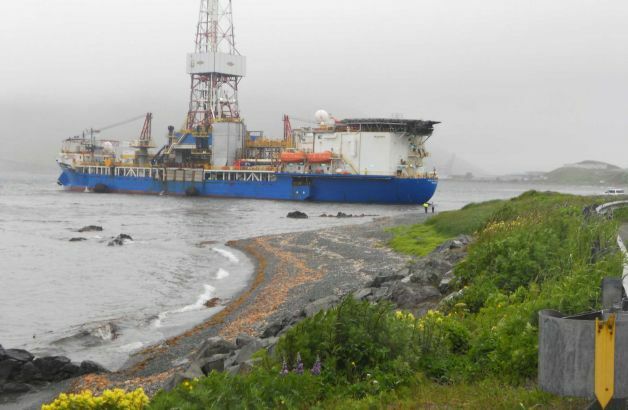 Shell has spent more than $4 billion on its efforts in the Arctic, but last drilled there in 2012 after a series of setbacks, including the grounding of a drilling rig, the Kulluk, off an island near Kodiak in the Gulf of Alaska. That mishap has also given fuel to opponents like Ian Siadak, who spoke at the lease hearing on behalf of a group formed within the last few weeks called the Coalition for Port Accountability.